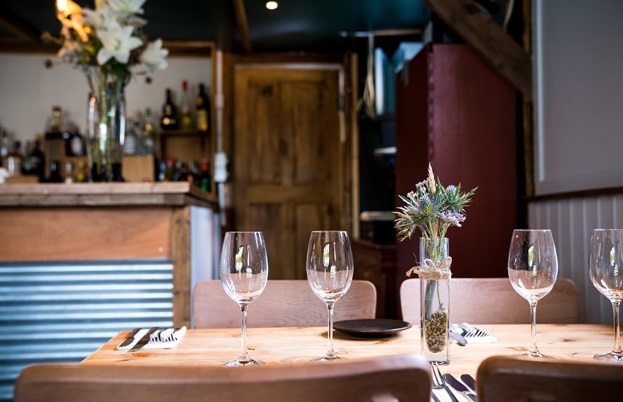 In the depths of Anglesey, Ellis Barrie has built The Marram Grass from a rundown garden centre potting shed to one of the UK’s most exciting restaurants. 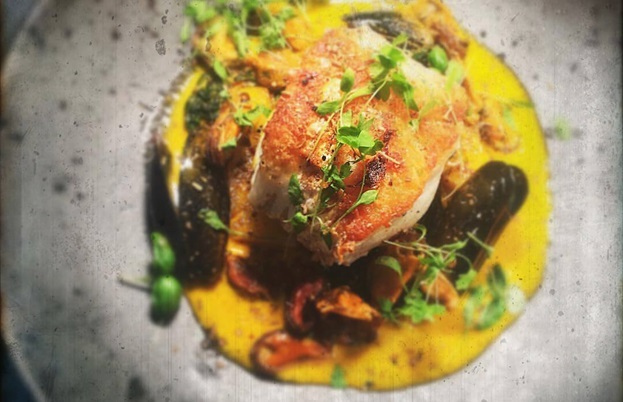 Pete Dreyer caught up with the amiable Scouse chef to find out how he did it. 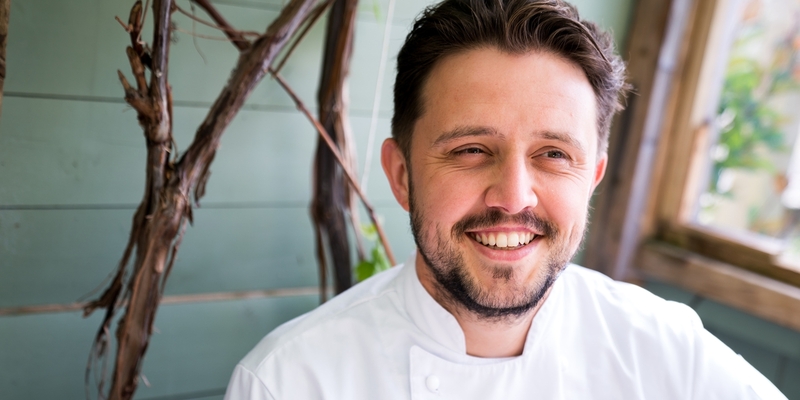 ‘It’s a bit mad isn’t it!’ laughs chef Ellis Barrie when we catch up to talk about the Marram Grass. ‘A bit mad’ is somewhat of an understatement, I think. Anyone who starts their own restaurant has to be a bit mad. 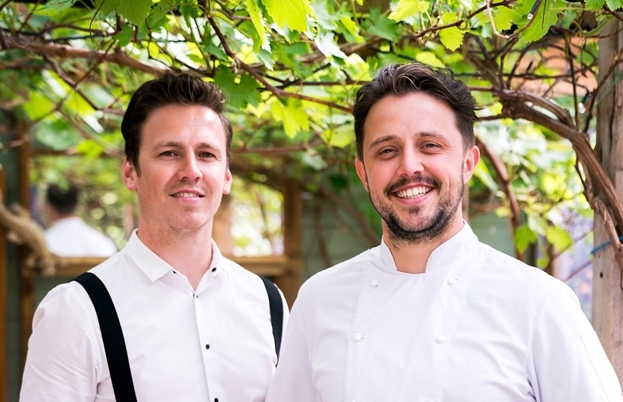 Ellis and brother Liam took over the cafe at the Anglesey campsite when they were nineteen and twenty-one respectively, and have built it from an unassuming breakfast shed into a fully-fledged, nationally-acclaimed restaurant. If that’s what Ellis calls ‘a bit mad’, I’m intrigued to think what he might think of as being ‘risky’. But it seems in his affable nature to slightly lessen the scope of his achievements in Anglesey. 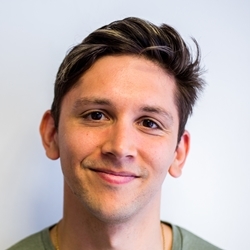 Born and raised in Liverpool, Ellis has that typical Scouse joviality in spades – he regularly punctuates a story with a joke, and an infectious chuckle that only the most stone-hearted of humans could not find amusing. Romantic as they may be, those first years were still hard at times, and Ellis freely admits that the campsite made no money in its early stages. ‘The site was so run down, we had to reinvest everything to bring it up to scratch,’ he explains. 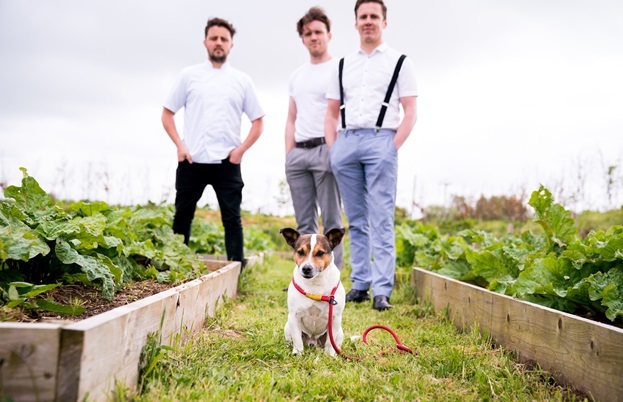 ‘We could have kept it as a cafe with Liam working at the front and myself at the back and we would have probably had six months of the year off and a bit of money in our pockets!’ That was never the plan though – Ellis’ ambition and creative drive as a chef meant that in some sense, The Marram Grass was always destined to become something special. 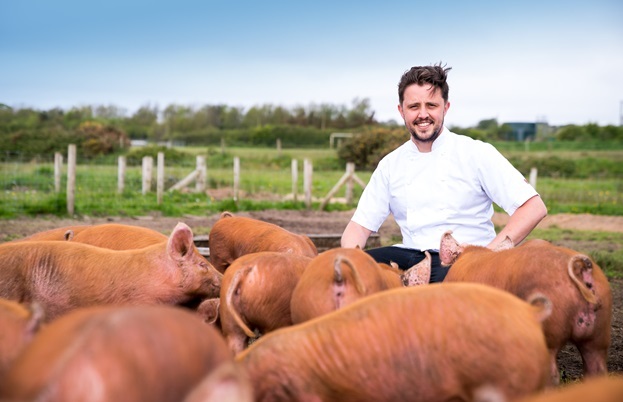 Ellis’ warmth and charm endeared him to the Great British Menu audience, and the phones have been busy at The Marram Grass ever since. The dish that Ellis impressed with on Great British Menu – torched Anglesey sea bass in a pork confit, with crisp cauliflower purée, barbecue cauliflower florets, preserved rhubarb, radish and pickled mussels – remains on the menu at the restaurant today, but there’s plenty more that catches the eye. 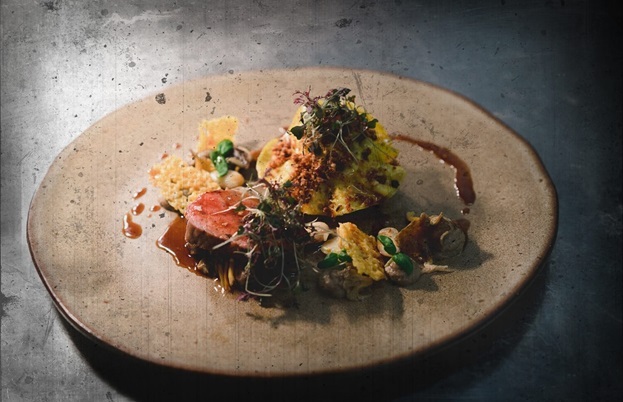 There’s a beautiful piece of pan-roasted Welsh lamb with minted lamb ragù, sweetbreads, morels and watercress purée, and a celebration of Welsh alliums in the form of a leek and wild garlic terrine with a red onion jelly, shallot purée, brown onion and Parmesan bubbles and chive extract. It’s undeniably impressive food – ambitious and delicious in equal measure. All images copyright Ioan Said Photography.